While any time is a good time to visit Hawaii, not all months are created equal. Here’s how travellers can escape the crowds, nab a cheaper hotel rate and find less expensive airfares for their next Hawaii holiday. Between 715,000 and 938,000 visitors from around the world flock to Hawaii each month, making it a consistently popular holiday destination. 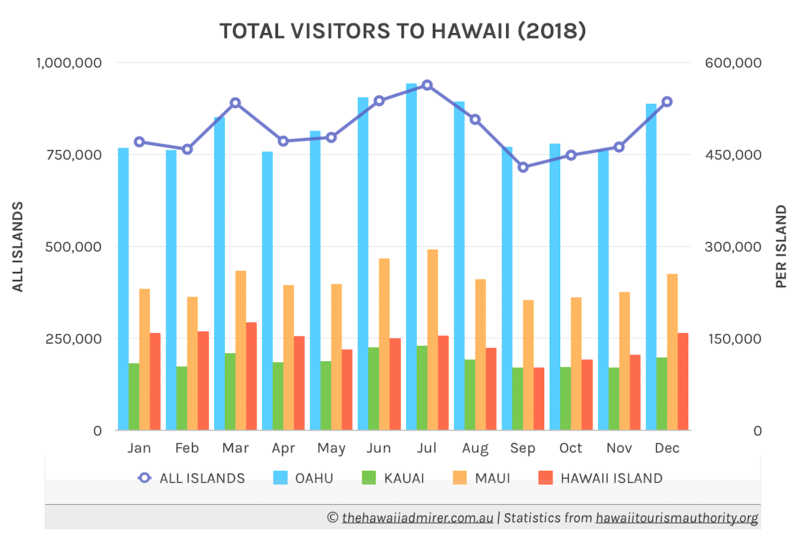 By looking at the number of Total Visitors to Hawaii, and relevant Holiday Periods, natural patterns start to emerge across the Hawaii tourism industry. These patterns can help us identify when the destination is less busy, this is when hotels and airlines are more likely to extend lower prices as they try to entice more holidaymakers to Hawaii. 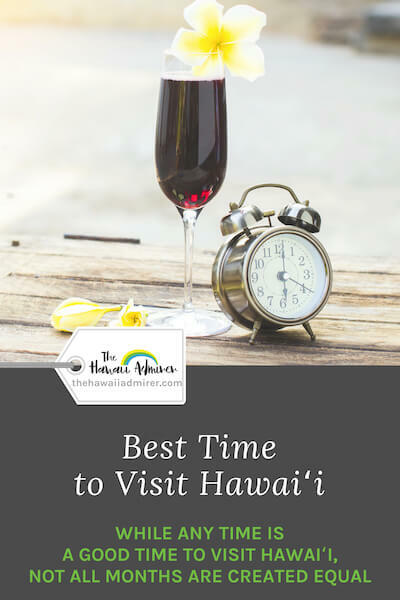 I’ve crunched the latest stats to find the best time to visit the Hawaiian Islands! Visitors to Hawaii travel to an avg. of 1.2 islands and stay for an avg. of 9.4 days. If you are after a less crowded vacation consider Hawaii Island, Kauai, Molokai or Lanai. Hawaii has the least number of visitors in September, October and February. Therefore, these are the best months to escape the crowds and nab a cheaper hotel rate. While hotel rates might be cheaper depending on overall visitors in the destination, airfare prices are not. Airfare prices are dependent on when people are travelling to Hawaii from your own country of origin. 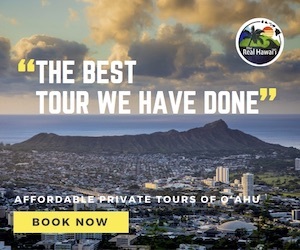 For example, Australia has the most number of people travelling to Hawaii in September (due to School Holidays), so while hotels prices are lower in Hawaii airfare prices are going to be high. Hawaii’s Monthly Visitor Statistics by market can be found here. Out of Hawaii’s 9.8 million people who visit each year, 6.7 million are from North America and 1.7 million are from Japan. After Japan, Australia is the next biggest international market with 324,000 annual visitors. If you look at the School Holiday periods of these three markets you’ll see the correlation between these dates and the number of Total Visitors to Hawaii. 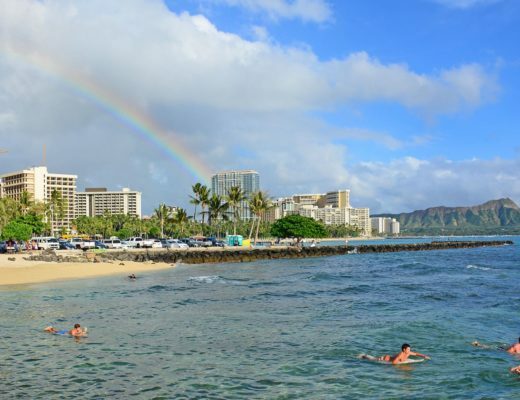 June to August, Hawaii’s three summer months which coincide with the U.S. Summer Break, Japan’s Summer Holidays and Australia’s own Term 2 School Holiday period. Mid-December to Mid-January, a global period of celebration where the U.S. Winter Break, Japan’s Winter Holidays and Australia’s Term 4 School Holidays all occur. Please be cognizant of Hawaii State Holidays. 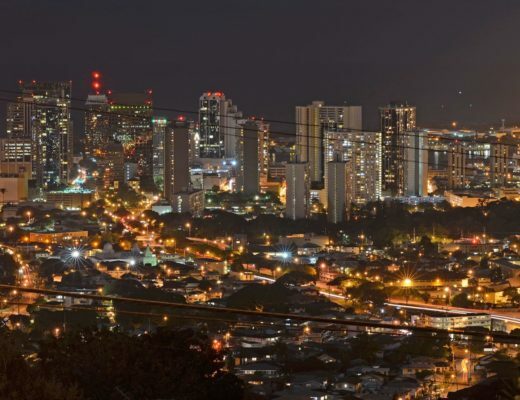 Many Americans take mini-breaks at these times, travelling inter-island or across from the U.S. mainland to Hawaii resulting in a price spike. For a list of State Observed Holidays click here. In summary, if you compare Total Visitors and Approx. Holidays Periods to Hawaii, you’ll notice the months of February-beginning March, September and October-beginning November overlap. 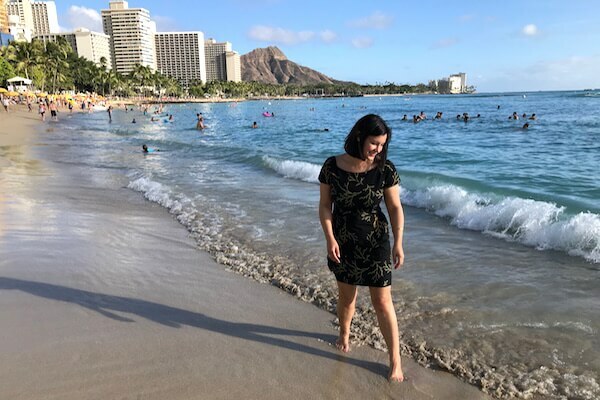 This should technically mean the Hawaii holiday trifecta – escape the crowds, nab a cheaper hotel rate and if you’re coming from North America, Japan or Australia hopefully a cheaper airfare too! 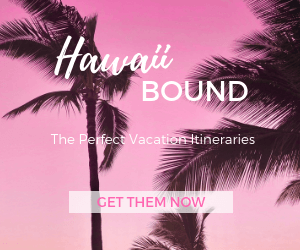 When choosing your Hawaii holiday dates, you should also get The Scoop on Hawaii Weather and review the Hawaii Events Calendar to see what Hawaii Signature Events are on during your stay! You might also want to check seasonality of activities in Hawaii. Surf the big waves in November and December, watch for humpback whales from December until April, see sunflower fields in full bloom in November, pick a Halloween pumpkin throughout October and catch the best fish June to August.